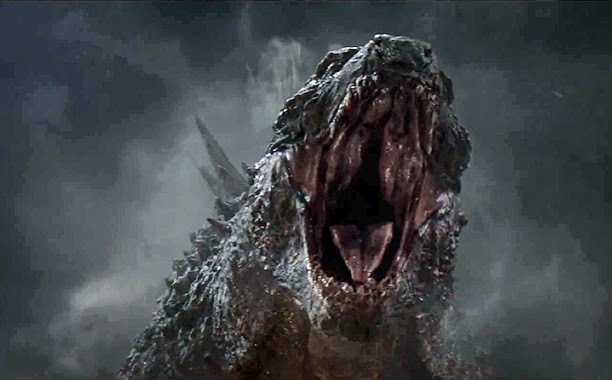 Godzilla 2 is a go! With $93.2 million in its domestic opening weekend and $103 million internationally, this was a simple decision for Legendary Pictures and Warner Bros.
Director Gareth Edwards has mentioned that if a sequel was ever done, he plans to follow the same monster movie format—the familar method I personally detest: talk about monster, allude to monster, almost see monster, see destruction in the wake of monster, eventually get to see monster. With the first film out of the way and clearly showing Godzilla in all his (or her?) glory, why wait on a big reveal? The sequel would benefit from a little more creature in its creature feature. Although the first one did pay off, there was certainly a lot of build-up before we got to see the main character in action. Either way, I think this franchise has some teeth (pause for laughter) and will turn into a multi-film series with a variety of directors and takes on Godzilla. There are still plenty of cities to destroy. What city (most likely a coastline location) could benefit from being destroyed by Godzilla?